Ever wonder what our models wear under all these strapless and halter dresses? 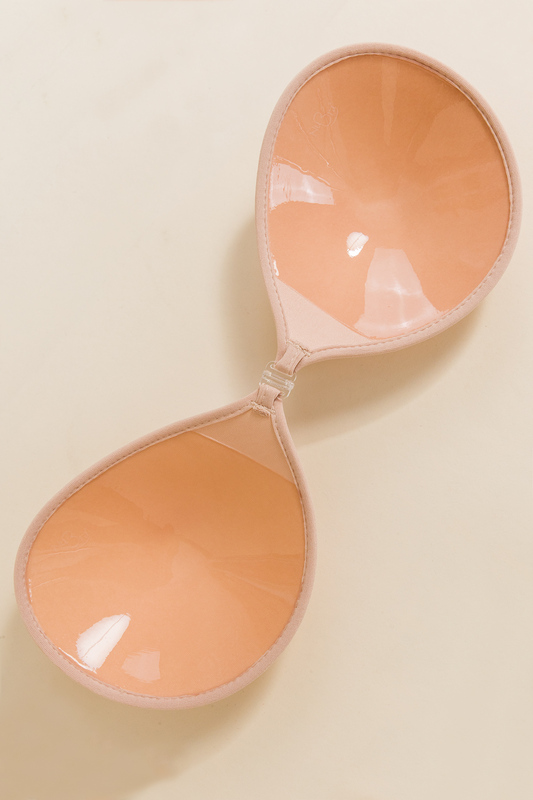 It's this amazing sticky bra! Unlike other adhesive bras, it has a hook in the middle, which is what gives you lift. Stick the cups as far apart or as low down as you need, then pull them together and hook! Genius! Simply wash it off with warm water and soap and wear time and time again. If between cup sizes, order up. Comes with travel case. **For hygienic purposes, these are a FINAL SALE.